Eighteen-year-old Moira Mitchell grew up in the shadows of Vegas's stage lights while her father's career as a magician soared. More than anything, Moira wants to be a magician too, but her father is dead set against her pursuing magic. 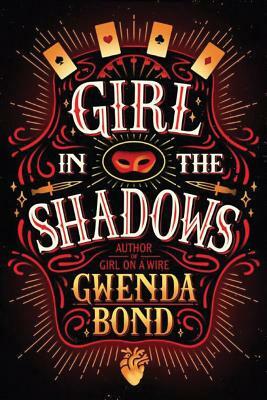 When an invitation to join the Cirque American mistakenly falls into Moira's possession, she takes action. Instead of giving the highly coveted invitation to its intended recipient, Raleigh, her father's handsome and worldly former apprentice, Moira takes off to join the Cirque. If she can perform alongside its world-famous acts, she knows she'll be able to convince her dad that magic is her future. But when Moira arrives, things take on an intensity she can't control as her stage magic suddenly feels like...real magic. To further distract her, Raleigh shows up none too pleased at Moira's presence, all while the Cirque's cocky and intriguing knife thrower, Dez, seems to have it out for her. As tensions mount and Moira's abilities come into question, she must decide what's real and what's an illusion. If she doesn't sort it out in time, she may forever remain a girl in the shadows.